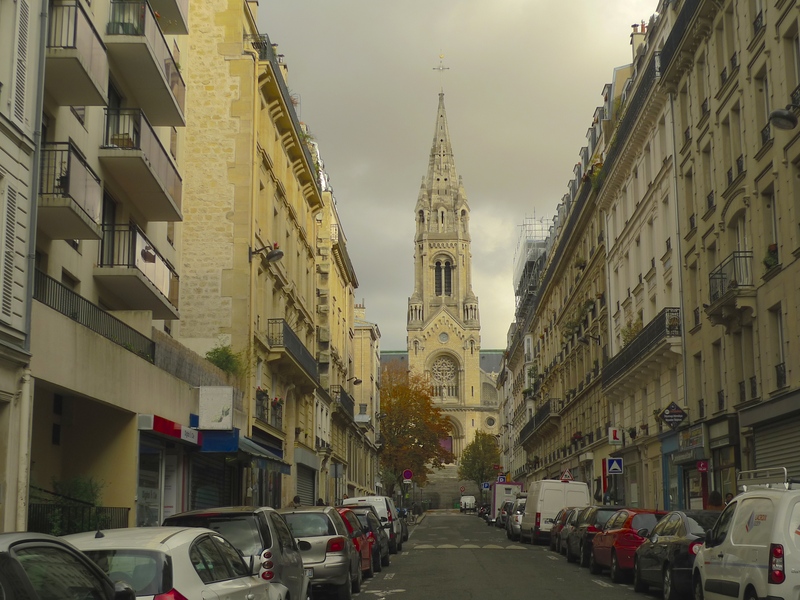 AS YOU WALK ALONG rue Étienne-Dolet in Ménilmontant in the 20th arrondissement it’s hard to miss the imposing church, l’Église Notre-Dame de la Croix at the end of the street. 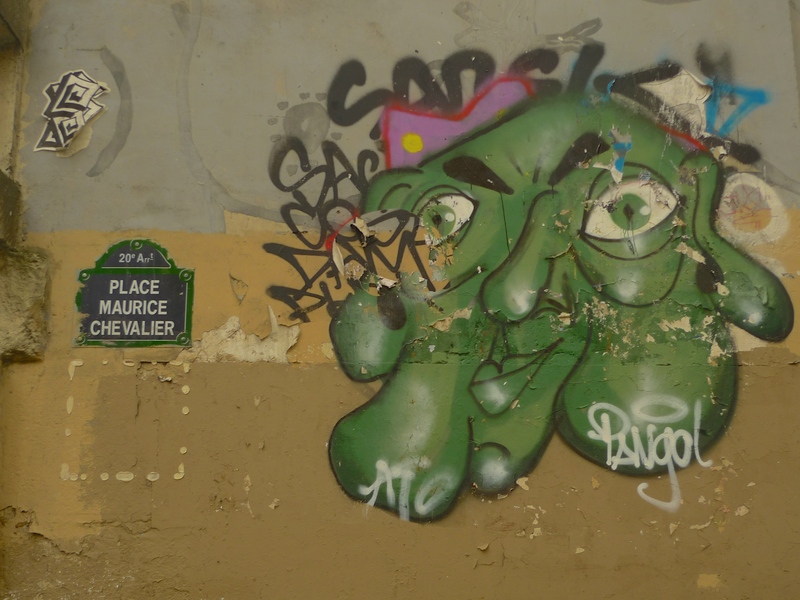 The street was named after the French writer, poet, printer and humanist, Étienne Dolet, who was executed in 1546 for heresy and atheism after publishing a tract denying the existence of the soul. Ironically, the street was named after him in 1879 precisely because it leads to a church. The architect, Louis-Antoine Heret, designed l’Église Notre-Dame de la Croix to replace a former chapel that stood on the site. Combining neo-Romanesque and neo-Gothic architecture the church is huge – 97 meters long, 38 meters wide, 20 meters high under the vault of the nave – not to mention the massive 78 metre bell tower. 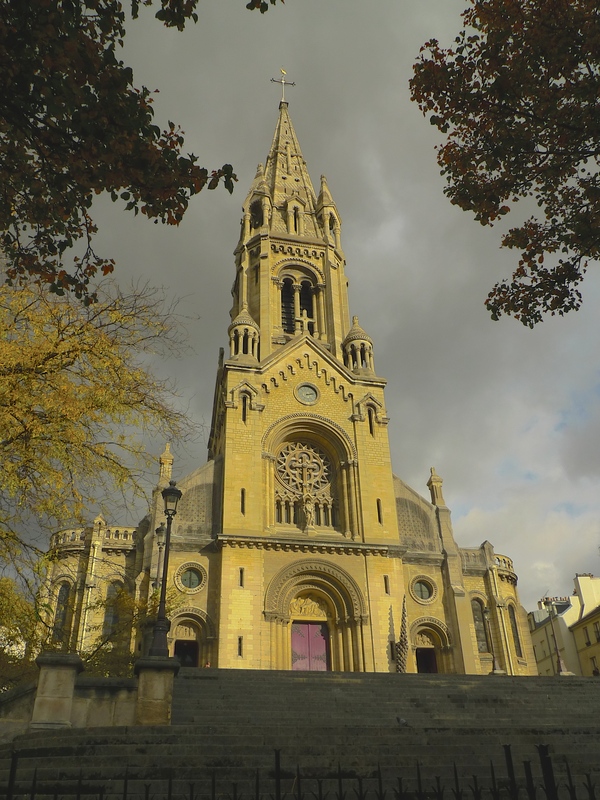 Like many churches in Paris, l’Église Notre-Dame de la Croix was used to hold political meetings during the Paris Commune of 1871. In fact, it was here on 6th May 1871 that a resolution was passed by the Communards calling for the death of the Archbishop of Paris, Monseigneur Georges Darboy. The resolution was carried out and the Archbishop was executed as the Paris Commune was about to be overthrown. One feature of l’Église Notre-Dame de la Croix that may go unnoticed by the casual visitor, but certainly not by me, is the organ. 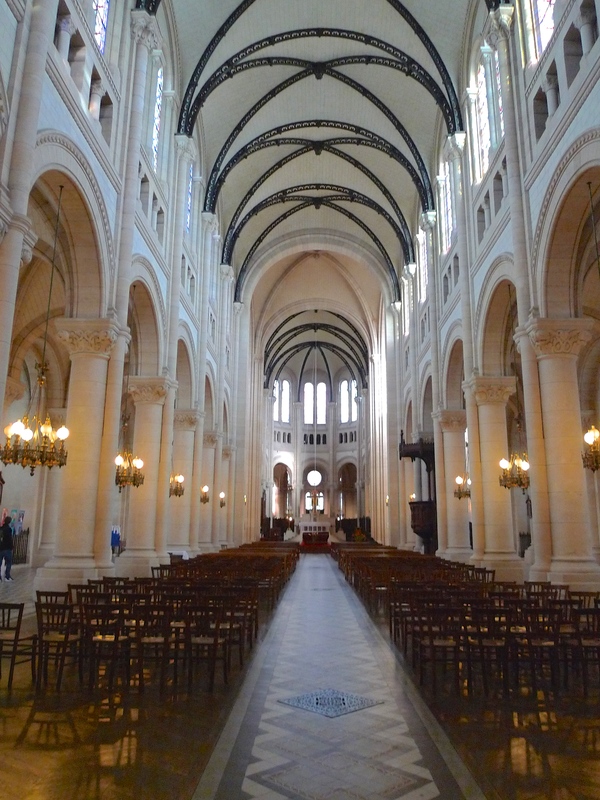 I’ve long been fascinated by church and cathedral organs and particularly the organs of the master French organ builder, Aristide Cavaillé-Coll, and this church boasts a very special Cavaillé-Coll organ, one classed as a monument historique. The organ was built between 1872 and 1874 and it’s one of the rare examples of a Cavaillé-Coll organ that has not been altered to any significant extent. 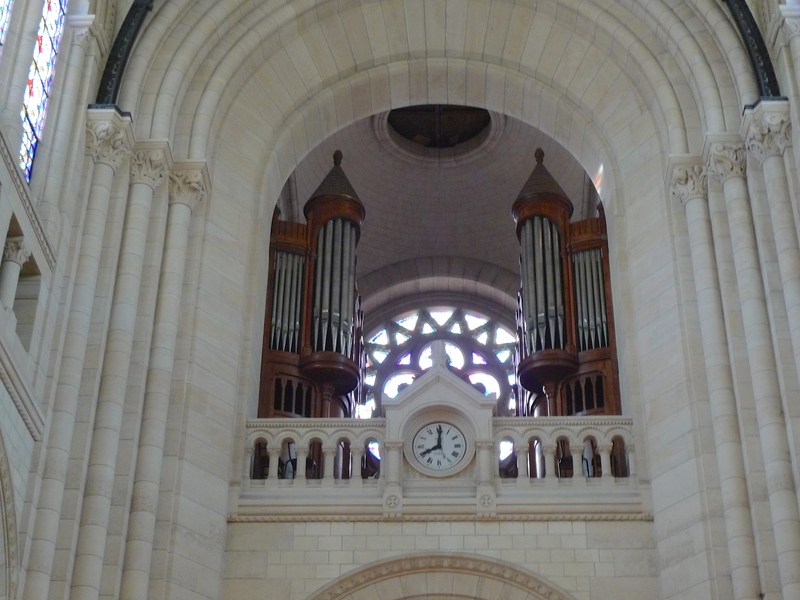 Building the organ posed two major problems – a rose window that was not to be concealed and a bell passageway in the gallery used for the operation of the bells and as a route to bring them down for repair that was not to be obstructed. Cavaillé-Coll came up with a technically complex but very neat solution; he built the organ case in two sections leaving the centre of the gallery and the rose window unmasked. Splitting the organ case though was not the complete solution. There remained a complex problem: the three-manual organ console could not be built in the usual position in the centre of the gallery with a direct action to the two organ cases. How Aristide Cavaillé-Coll resolved this problem is worth a blog piece of its own! L’Église Notre-Dame de la Croix is built on a hill so to enter by the main entrance it’s necessary to climb fifty-four steps of the grand staircase that leads up from the street. 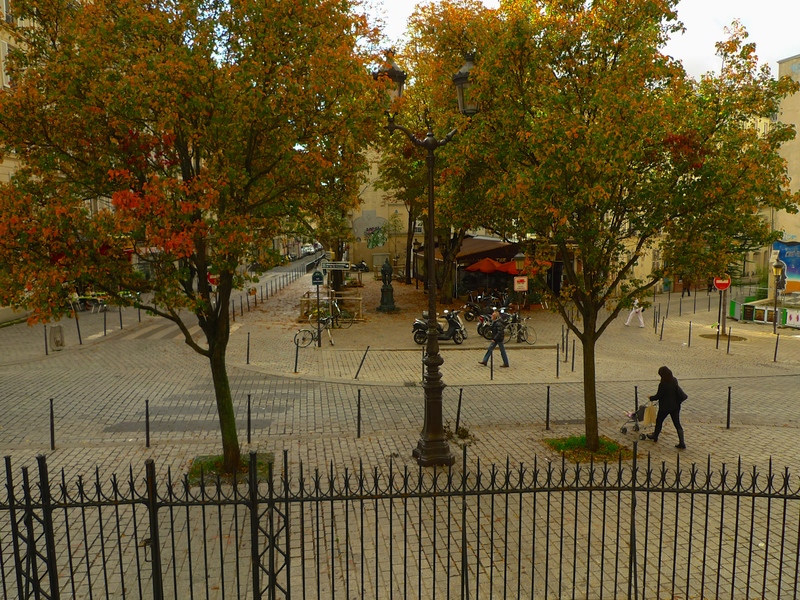 It was from these steps that I was able to look out over one of my favourite Parisian hideaways – Place Maurice Chevalier. 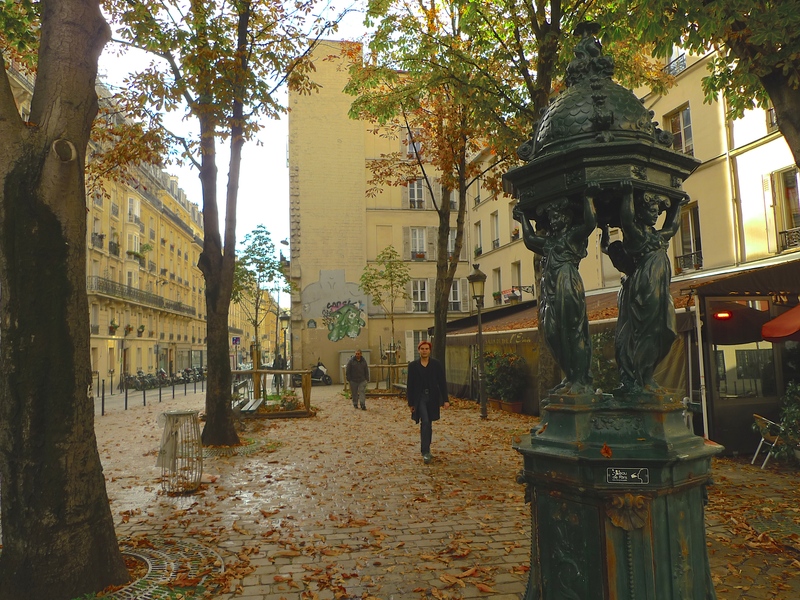 Located at the corner of Rue Étienne-Dolet the square was originally called Place Gerard Manvusa but that was changed in 1978 in honour of the French singer and entertainer, Maurice Chevalier, a Ménilmontant celebrity who was born close by at 29, rue du Retrait. 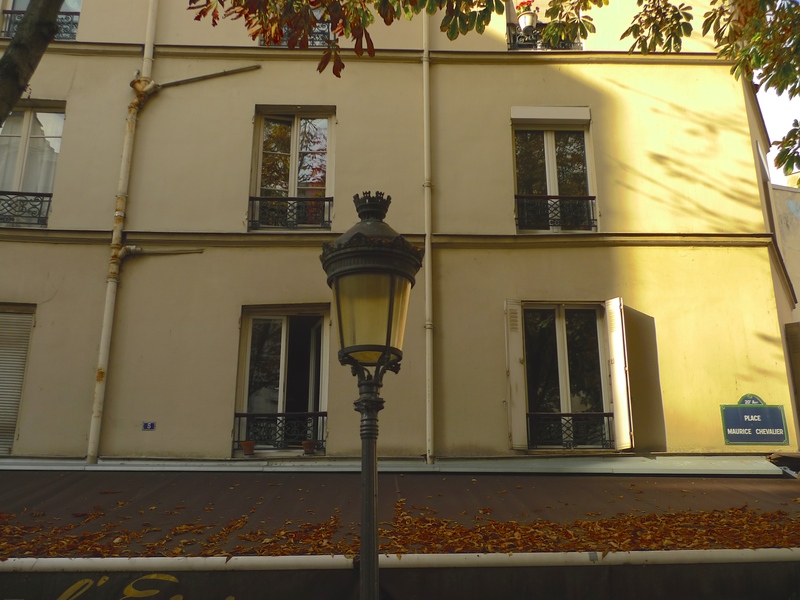 The commune of Ménilmontant is far removed from the glamour of central Paris but, for me, that’s its attraction. 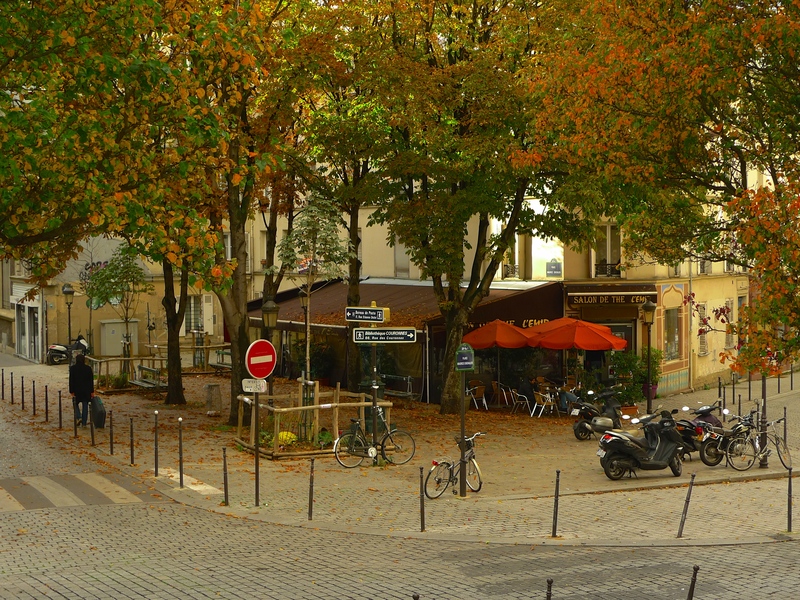 I’ve spent many hours here, au coin de la rue, watching and listening to everyday life passing by. With l’Église Notre-Dame de la Croix as a backdrop I sit on a green bench in the leaf-strewn square and begin to listen. It’s a little before 5.00 pm and with a Wallace fountain, a café and a boulangerie and another café across the street all echoing to the sound of passing footsteps crunching the autumn leaves I absorb the mixture of ecclesiastical and secular sounds that fill the air. A refuse truck pulls up and loads some rubbish. A street sweeper gathers leaves from the gutter. A group of schoolchildren surround me on their way back from an outing. A bell sounds out from l’Église Notre-Dame de la Croix calling the faithful to worship. A group of small schoolchildren walk past hand in hand on my right gaily chanting, ‘à gauche … à droite’. A dog barks. A school bus comes to a squeaking halt at the foot of the steps to the church blocking the traffic. As the schoolchildren disembark from the bus music pulsates from a car radio and car horns sound impatiently. The schoolchildren pass me and their sounds fade into the distance. A metal bottle top falls to the ground. A youngster on a bicycle taunts the pigeons. The church clock chimes five o’clock. The pigeons speak. A shopping trolley passes. 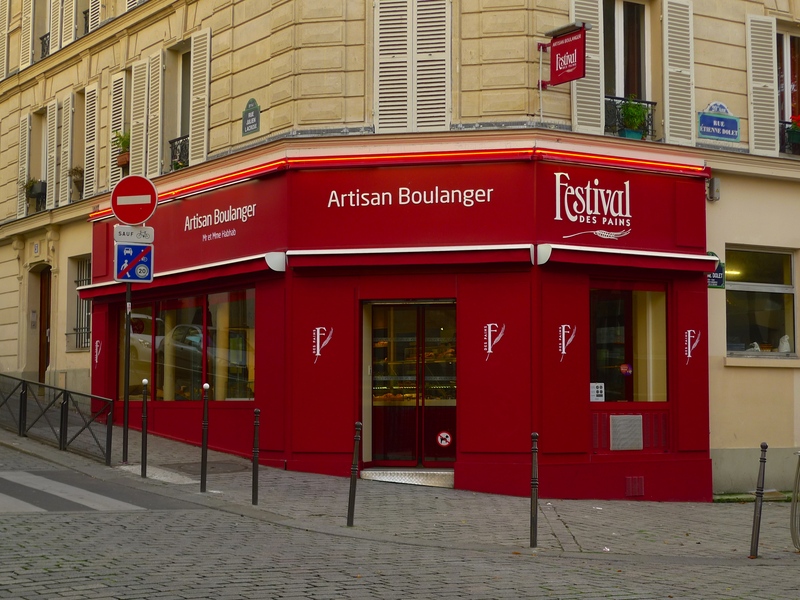 Paris has many charms but, to my phonographer’s ear, ordinary people creating a deftly woven sound tapestry as they go about their daily lives in this part of cosmopolitan Paris is one of the most fascinating.